In this tutorial we will show you how to setup your Data Layer using SSW.DataOnion2 nuget packages. Source code for sample project used in this tutorial can be downloaded here (for EF6 sample) and here (for EF7 sample). 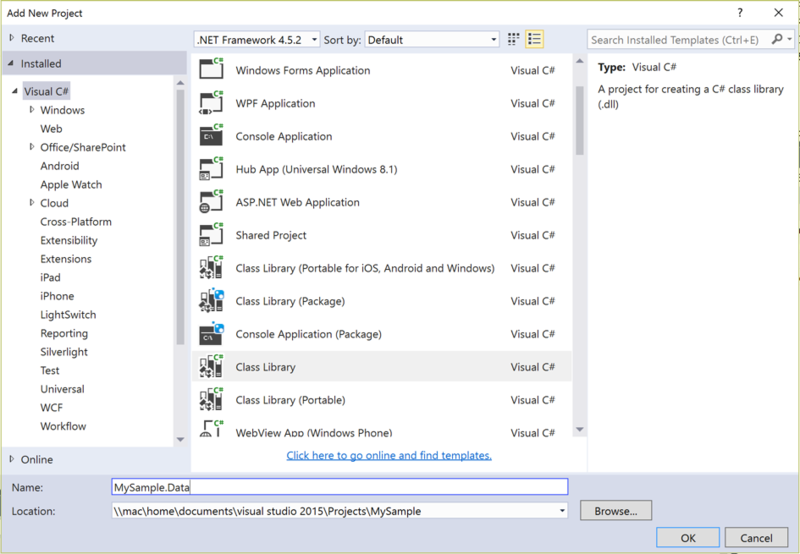 Once Entities project is created, delete default Class1.cs file. Now create four classes Product.cs, ProductCategory.cs, Order.cs and OrderLineItem.cs (follow links for source code). 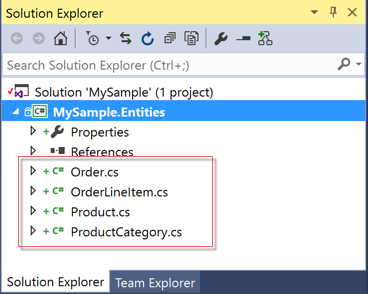 Figure: Add ProductCategory.cs, Product.cs, Order.cs and OrderLineItem.cs entities. Our Entities project is now complete, it is time to add new project to hold database context. 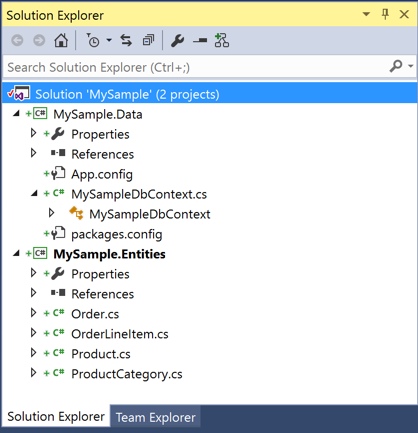 Once this project is created, add the reference to MySample.Entities project by right clicking project file and selecting Add | Reference. 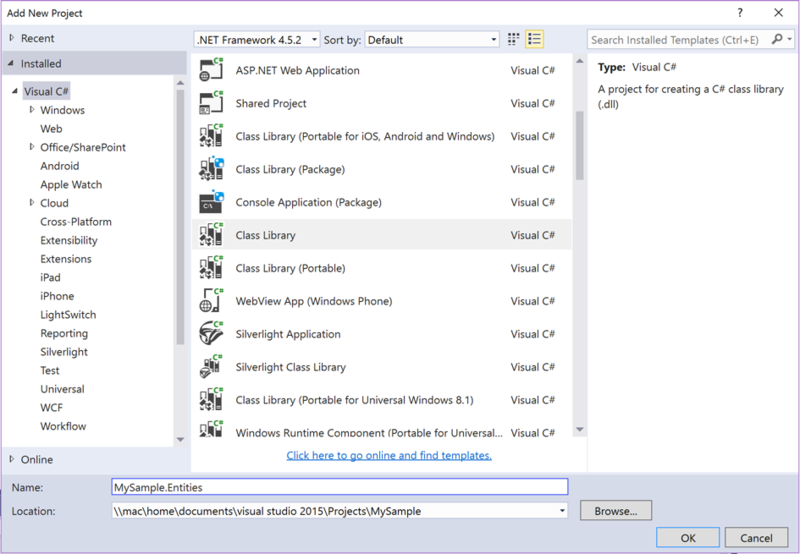 We also need to specify connection string in App.config so that DbContext knows how to connect to database. 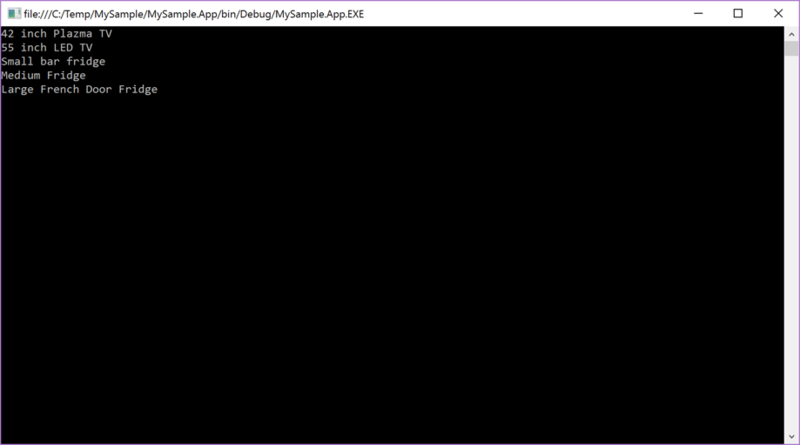 Open App.config file and paste the following connection string section (adjust if your SQL server instance is different). Once package is added, IDataSeeder interface is available. Let’s implement it. In MySample.Data project create new folder called SampleData and add new class to it called SampleDataSeeder.cs. Copy paste implementation for it from here. The next step is to configure Data Onion in your client or UI project. For simplicity, let’s create new Console Application. Right click solution file and use Add | New Project. Name your project MySample.App and make it a startup project by right clicking project and selecting Set as a startup project option. 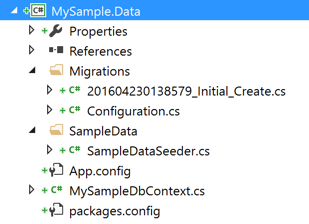 Add references to MySample.Entities and MySample.Data. The easiest way to configure DataOnion is to use DI (dependency injection) container. EF6 version of DataOnion2 comes with Autofac implementation out of the box, while EF7 version of DataOnion2 comes with Autofac and Microsoft implementations. If you are using any other DI container, please check our documentation here (for EF6) and here (for EF7). This package will also install all required DataOnion dependencies, including EntityFramework. We will also need to configure connection string for our database. 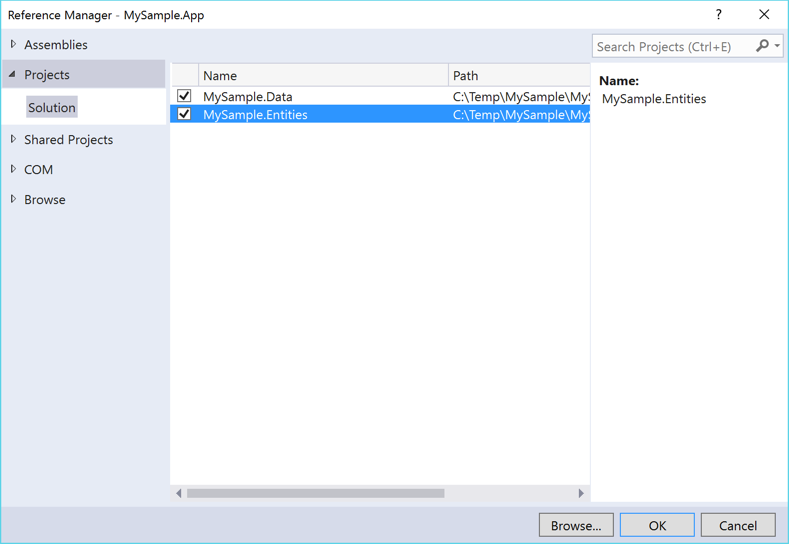 Copy paste your connection string settings from MySample.Data project into App.config of MySample.App project. Alternatively, you can copy it from here. Figure: Data onion configuration and usage. Figure: Creating DI container and enabling DataOnion. For DataOnion you need to specify connection string, type of DbContext, initialiser and optional DataSeeder. We also configured two repositories that will be used when using UnitOfWork and repository pattern. Figure: DataOnion manages lifecycle of your DbContext via DbContextScope. DbContextScope can be created using factory. 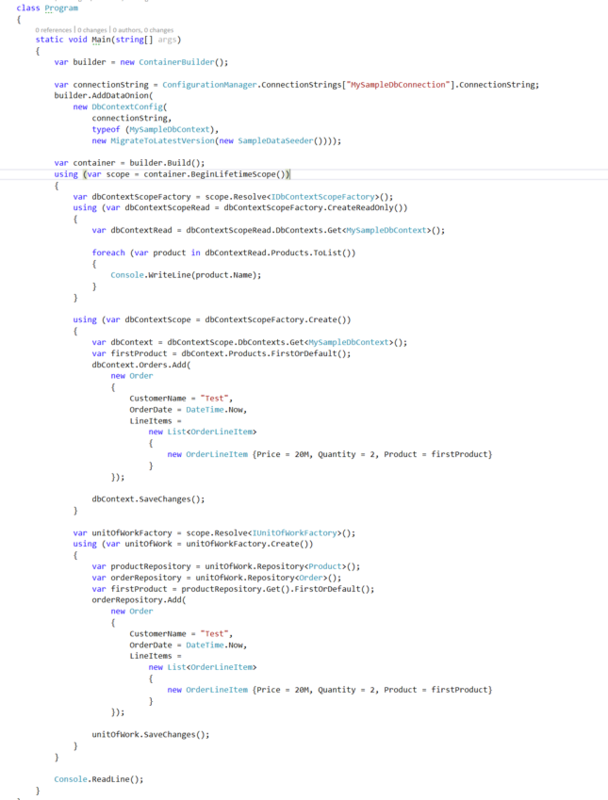 In this section we are creating ReadOnly version of DbContext scope and querying all available products. “using” block represents your business transaction. 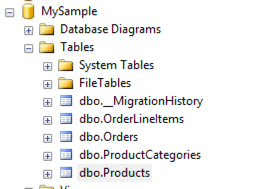 Figure: In this section we are creating full version of DbContext scope and creating new Order that will be persisted to database.. “using” block represents your business transaction. Figure: As well as supporting direct interaction with DbContext, DataOnion also allows you to abstract away your DbContext interaction via UnitOfWork and Repository pattern. This is done by using UnitOfWorkFactory class. UnitOfWork can create relevant repositories automatically for you. 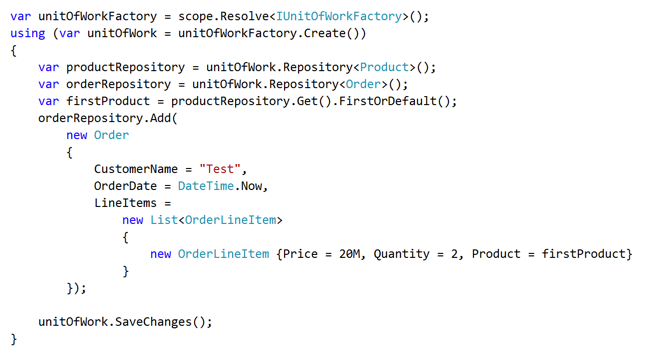 In this section we are creating full version of UnitOfWork, resolving 2 repositories and creating new Order entity that will be persisted back to your database. “using” block represents your business transaction. You have now configured your data access layer. Super easy…. To view more samples and to contribute please visit out GitHub page here.